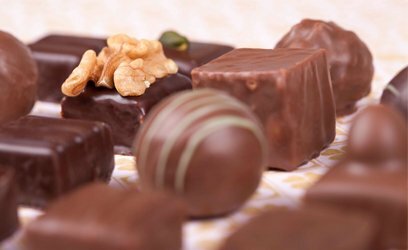 The universe of chocolate is a world shaped by a thousand secrets, by perseverance and by know-how – which requires passion. Speaking about chocolate it is a little like speaking about love, so much the passion for it can be overwhelming. All the senses are on alert : vision, hearing, smell, taste and touch. The unconditional of our brand know the passion with which we loved telling stories and know how much we need to plunge ourselves into timeless universes. 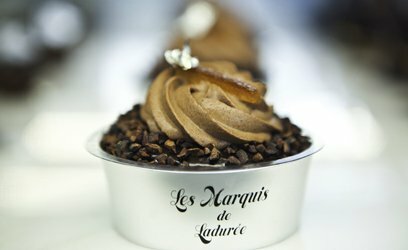 With this new beautiful adventure of “Les Marquis” we wish to continue developing our know-how, but also inventing and arousing new emotions. 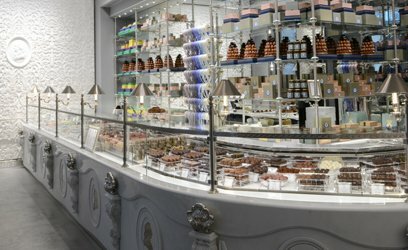 Passionate about chocolate for several years, Mr. David Holder, Chairman of Ladurée wanted to create a new brand in order to highlight for the first time the chocolate at Ladurée, to give it a new lighting and let it have a fully-fledged place. 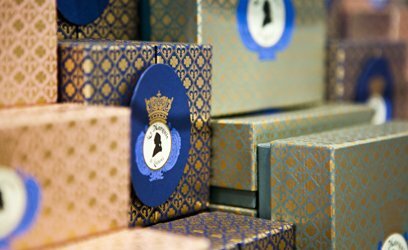 With “Les Marquis de Ladurée” we wish to complete our gourmet range while keeping the essential codes of the success of our House, namely a perfect alchemy between the beautiful and the tasteful, thanks to the association of a both luxuriously staged and very good product with ingredients peculiar to it. 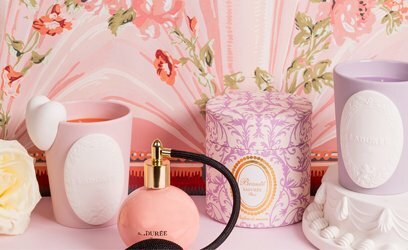 The graphic table navigates between grew, ivory and white shades. As a panoramic view of the 18th century, walls are decorated with an endless bunch of Acanthus leaves, which was entirely realized in stucco, thanks to the dexterity of a sculptor. The ceiling is also embellished with a stucco garland, decorated with magnificent Murano chandeliers, which gives a more Italian-colour palette to the place. In contrast, the ground is more modern as it is realized in the style of grey concrete. An impressive library surrounds the big counter, which outside front is completely realized in Carrara white marble veined of grey, with for particularity an exceptional drape. To emphasize its elegance, the counter is generously adorned with magnificent “Marquis” profile medallions. There is a change in material for the back of the counter, which is decorated with steels leaves bringing a more contemporary touch to the place. 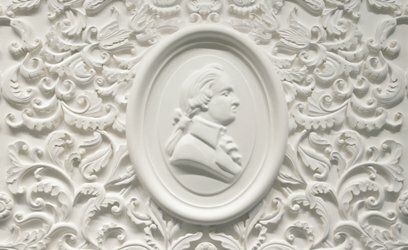 By way of paintings, majestic Marquis profiles in medallion decorate the space and give it its signature. 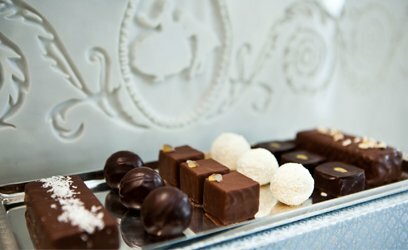 A convivial and interactive place is created, which allows the chocolate maker to step in for tastings and chocolate classes. The sweet gesture that is crunching a piece of chocolate reminds some of us of an almost religious ritual, for others it’s like a fuel, or a drug. 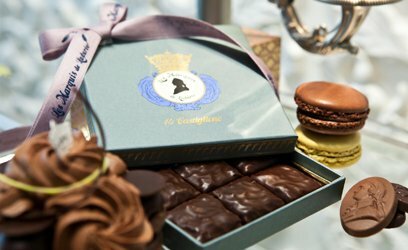 With “Les Marquis”, the chocolate addicts are discovering the collection of candies, pastries, “viennoiseries” and of course macarons but all exclusively to the various flavours of chocolate. 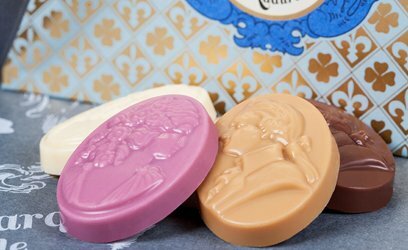 The “Les Marquis” chocolate candies are composed of a perfect balance between bitter and sweet, soft and powerful, fondant and crunchy ; and stage gustative aromas of flowers, spices and fruits. 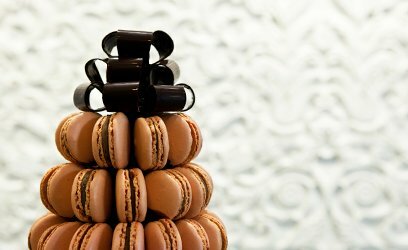 From the traditional truffle to the generosity of mouthfuls, without forgetting the indispensable bars, between simplicity and sophistication : nothing misses.